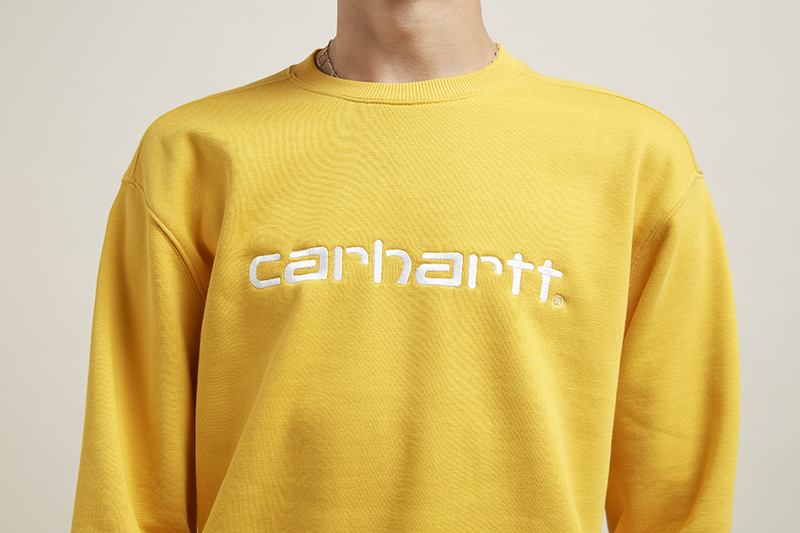 Carhartt WIP A/W '18 Collection at size? 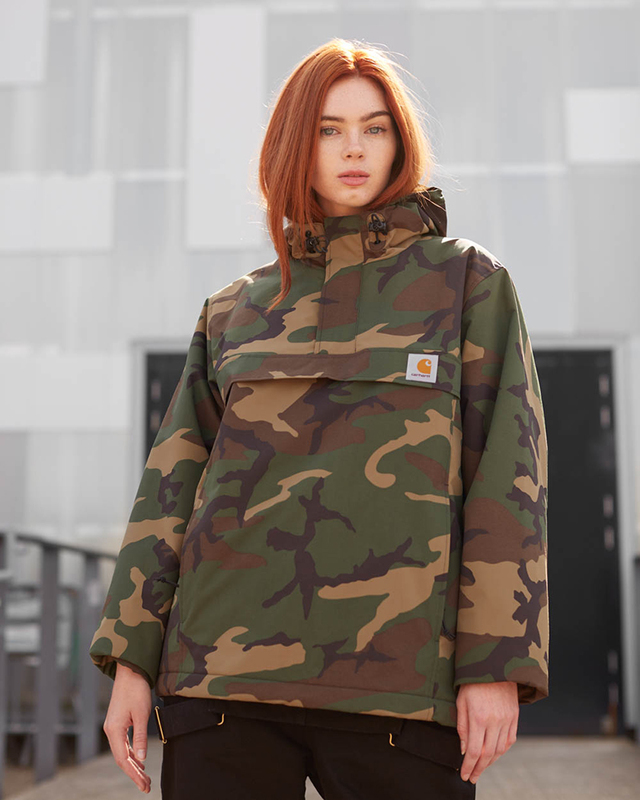 Carhartt WIP A/W ’18 Collection at size? 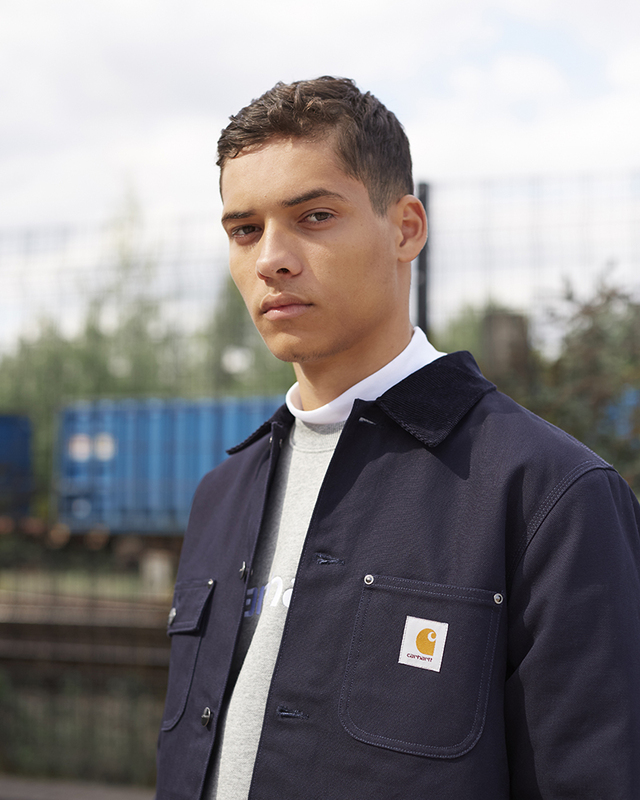 Carhartt WIP are back with the latest Autumn/Winter range, seasonally updating some of the most recognisable pieces from their back-catalogue alongside a few new additions. Key jackets like the Nimbus Anorak and Chore Jacket start to make appearances in each collection to combat the colder months ahead. 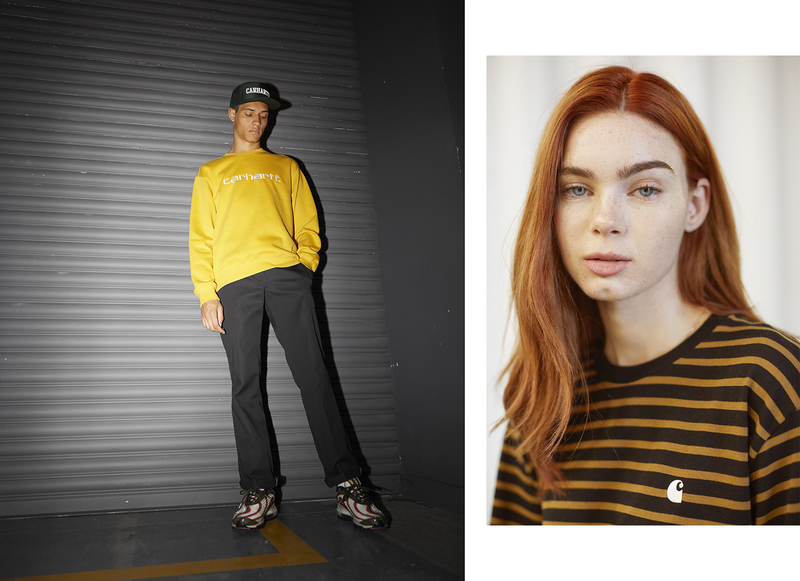 The usual suspects are present: essentials in the form of hoods, sweats and tees, alongside the introduction of new pieces in updated fits and fabrics. 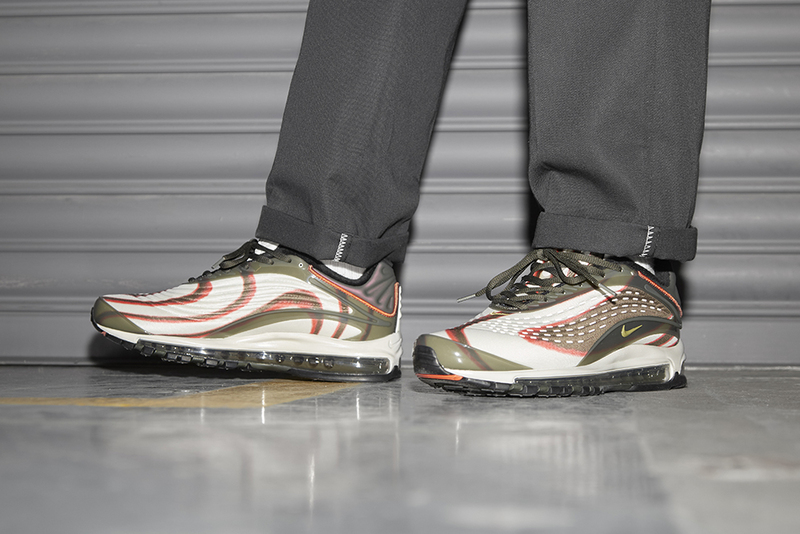 There’s also a welcome return to camouflage print pants, logo tees and heavyweight canvas jackets. Lightweight striped tee’s, long-sleeves, and moc-neck tops make up the lightweight portion of the range, while at the other end more traditional check shirts, hoodies and sweatshirts make up the heavier portion.The change in weather also sees the welcome return of the Carhartt WIP stalwart, chore jacket, which returns in heavy duty canvas navy. 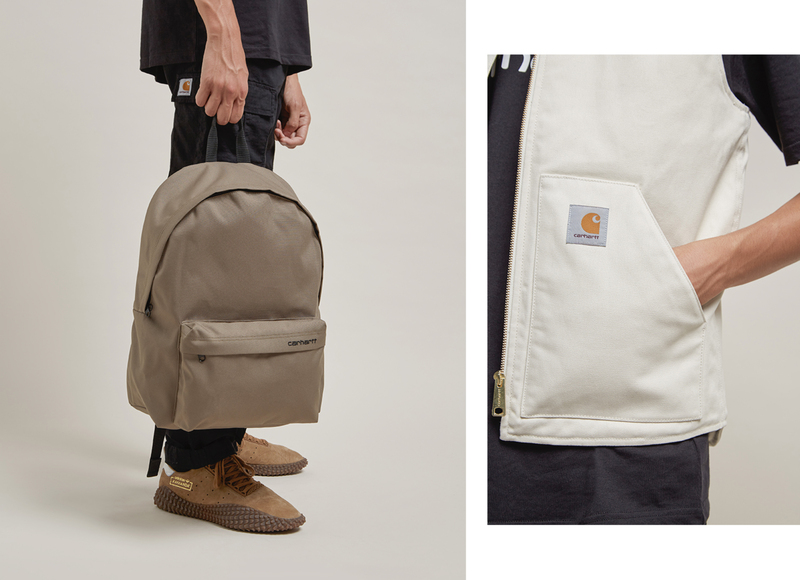 Accessories include winter renditions of Carhartt WIP classics in the Hamilton Brown ‘Phil’ backpack and Camo ‘Kickflip’ backpack, alongside an assortment of trucker caps. 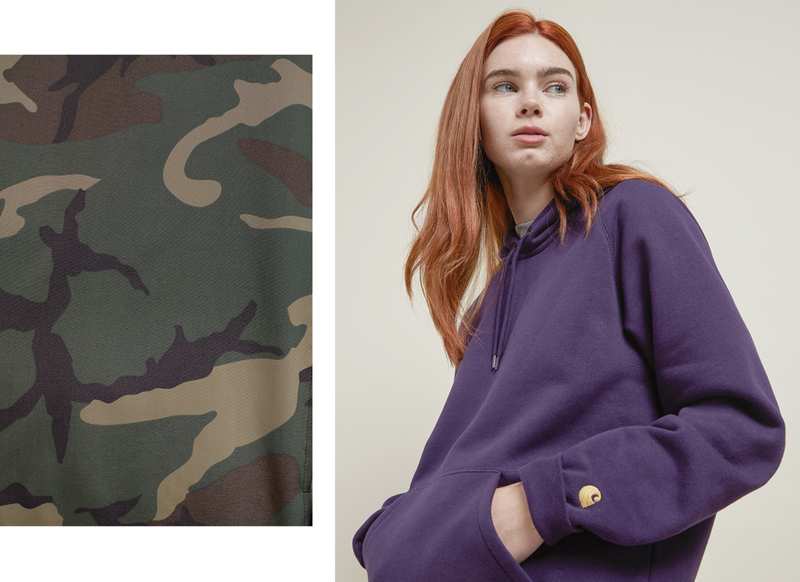 Recent collections have tapped into the late 90’s/early 00’s era of the brand, where the futuristic typeface logo was used prominently across sweatshirts, t-shirts and overhead anoraks, so it’s great to see these making a comeback with each new release. 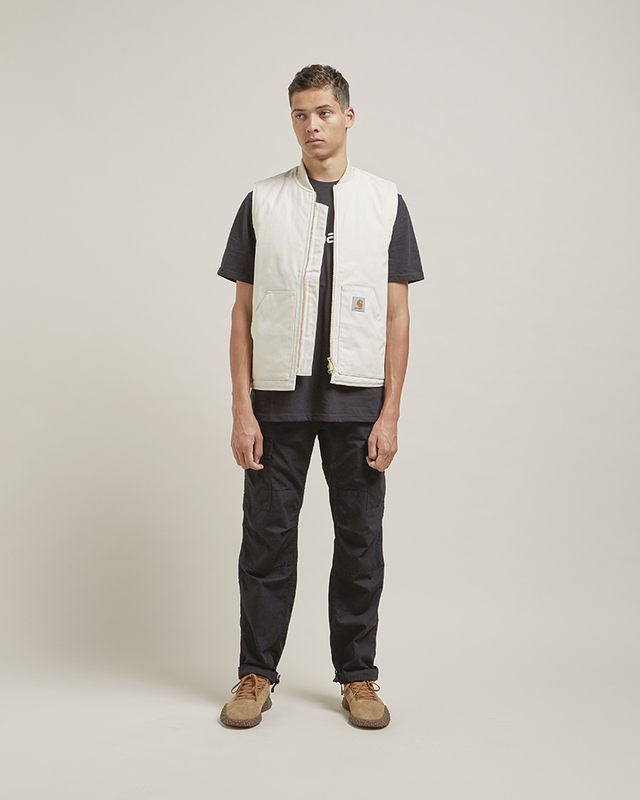 For us, standout pieces and selects from the capsule include the classic Carhartt WIP vest in fresh icy white, and the classic WIP script sweatshirt, which is now available in a vibrant yellow, size? 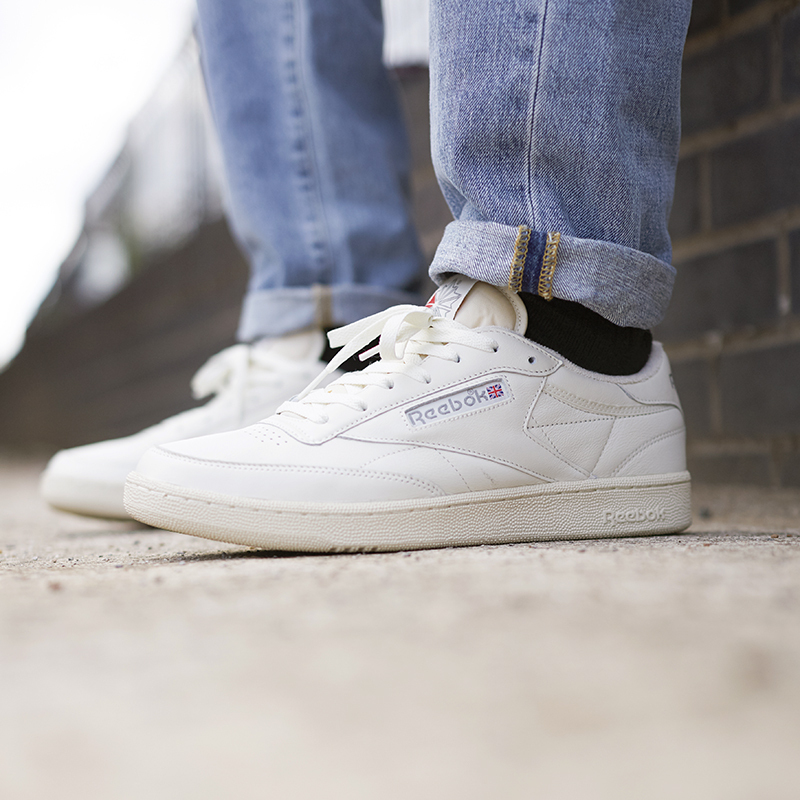 exclusive colour-up. 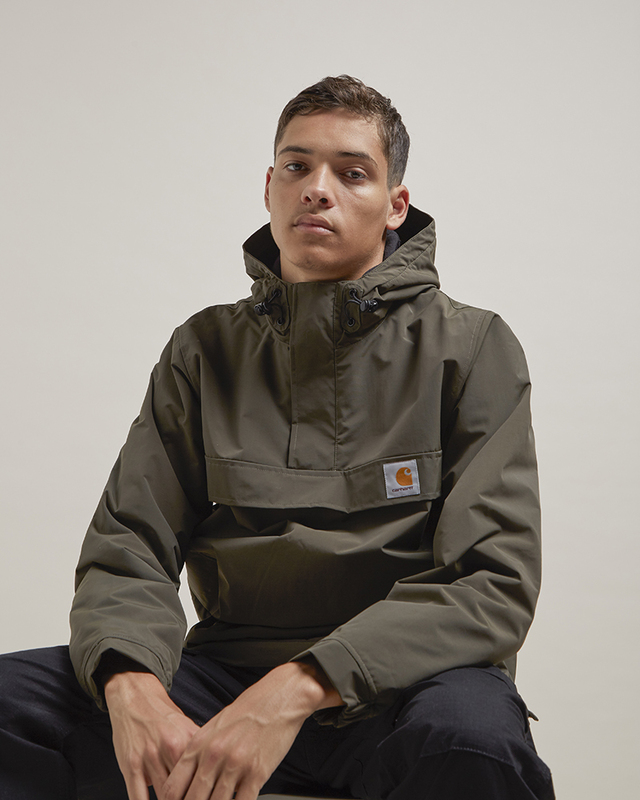 The full Carhartt WIP collection is now available online and in size? stores now. 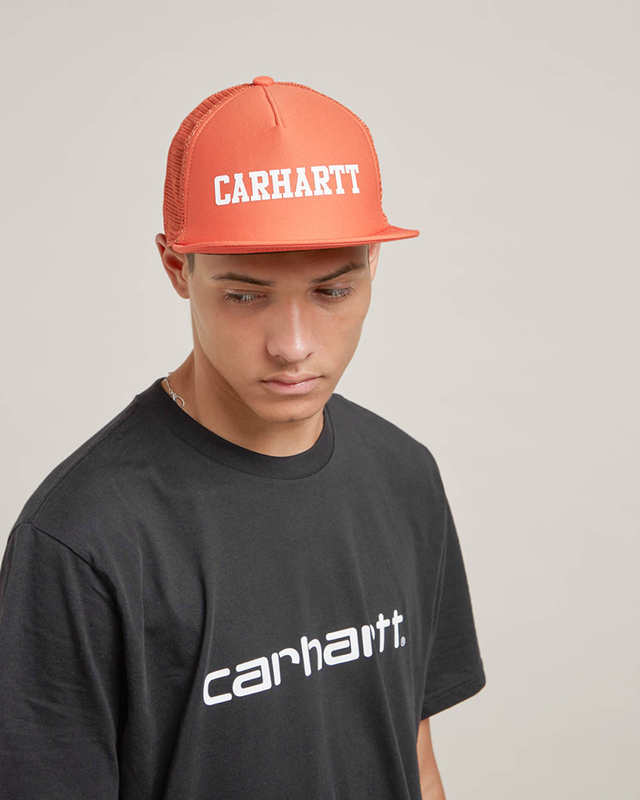 Take a look at the history behind Carhartt WIP.